This is a story of former player, Claude Makélélé and his path to becoming a top flight manager. 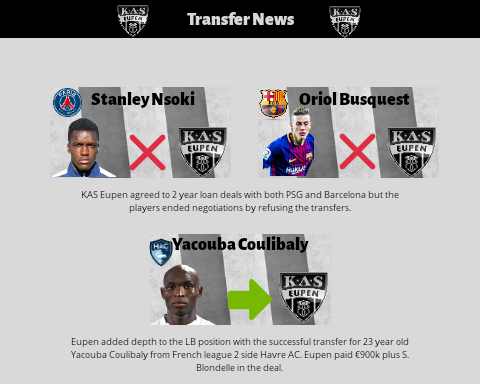 Makélélé is currently the manager of K.A.S. 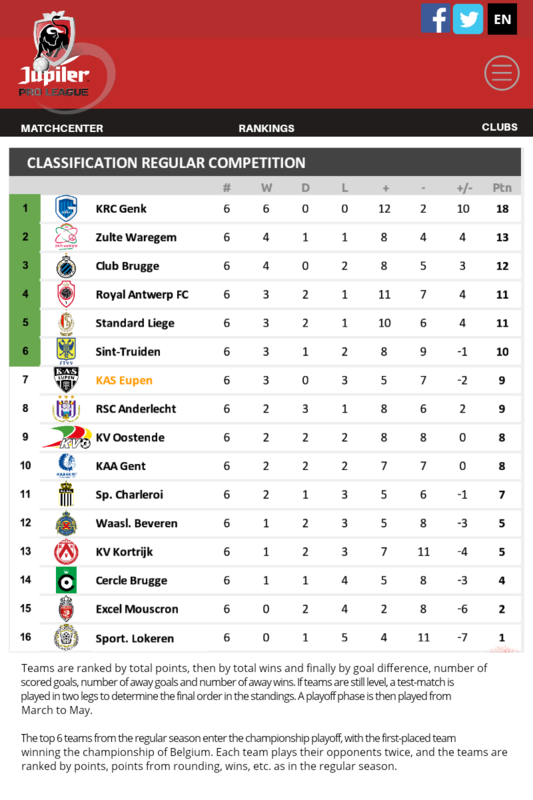 Eupen in the top Belgium league. 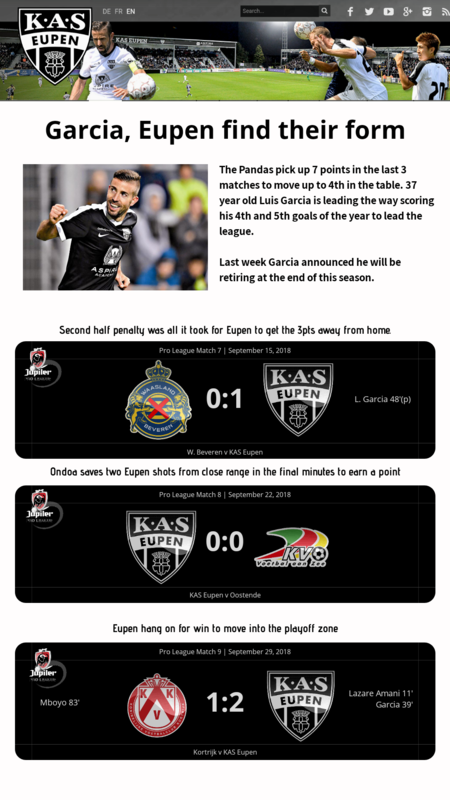 Eupen is a small club nicknamed the Pandas. The club was established in 1945, reaching the top flight for the first time in 2010. In June 2012, the club was purchased by the government of Qatar and its Aspire Zone Foundation, who also own Paris Saint-Germain. Aspire Academy announced their intent use the club as a launching pad into European football for its academy graduates from Africa, South America and Asia. 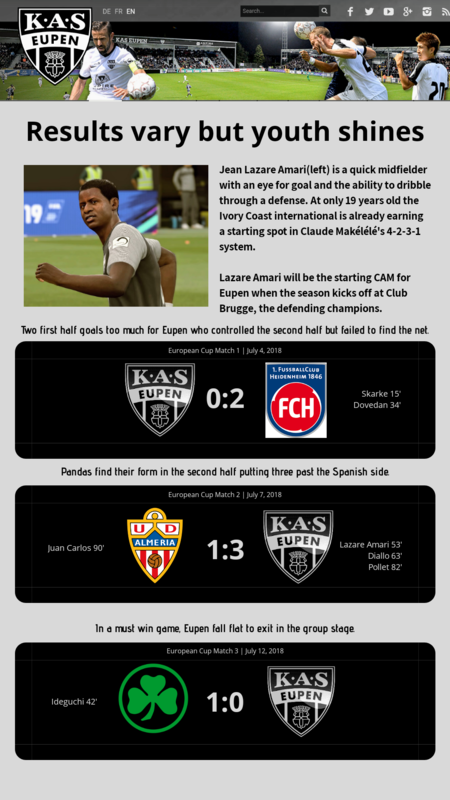 Eupen finished second in the 2015–16 Second Division, gaining promotion to the top flight of Belgian football for the second time in their history, staying up at the end of the season for the first time. I will admit, I do not like Aspire Academy or the idea of large corporations using smaller clubs as "launching pads" but that is where Makélélé is currently at so that is where the story begins. Following career's on this website I really like the idea of others being the "board" members to help with decisions. 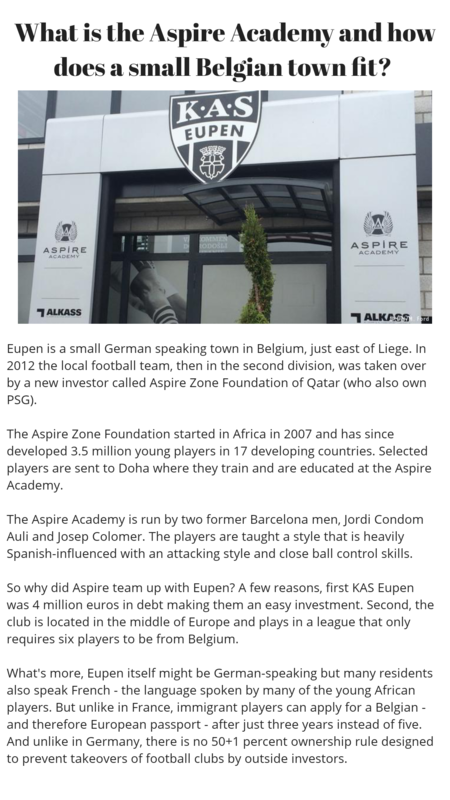 Remember, this is not a career of Eupen but of Makélélé and his dream of managing at a top level. I am hoping the board can help with transfer rules. I like to keep the career realistic and use the academy often. Transfer rules will change depending on the club I am currently at and how much room is in the budget. To keep the story moving, I will be posting updates every month with a league table, stats and headlines. Also the random news story or any significant news. I am not great with graphics or video like others on here but do enjoy it. Feel free to post if wanted. DS: Thank you for coming in today. I know you and the squad are getting ready to go to Germany in the morning for the European Cup but I wanted to discuss a few goals this season. CM: I also wanted to talk about the goals so coming in was no problem. DS: As you know, when the ASPIRE zone Foundation and myself took over in 2012, the goal was to raise money and use this club as a stepping stone for talent. That goal is still our main objectives. DS: Don't worry about that right now. Winning is our lowest priority, finishing mid-table is good enough for us. The top priority is developing the academy and making money. That's why I want you to grow two players by ten points. I also want you to finish the season with €3m unallocated funds keeping the wage bill to less than 25% growth. Currently we have €2.6m to spend and a wage bill of €23k. Do you understand? CM: I understand what you are asking but I strongly disagree. ASPIRE does not care about the fans or winning. My goal is to win a trophy for the players and fans, not grow talent for other clubs. DS: That is fine. But your goals do not matter to the board and really, I don't care either. You have two more years on your contact, I expect you to be a good club servant and see out our goals. Or forfeit your pay and leave. I don't care really. Now, dismissed. Belgium is more and more becoming the guinea pig test lab for French football and their figureheads. Monaco's stake in Cercle Brugge, PSG still eyeing a Belgian place to dump reserves and youth at. Thierry Henry as assistant coach of the national team. 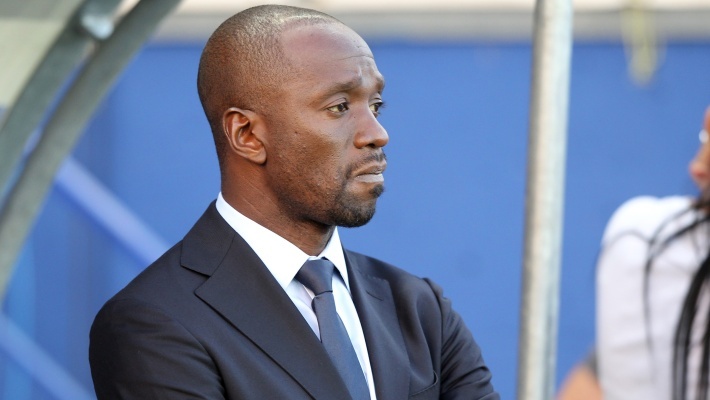 Claude Makelele at Eupen. 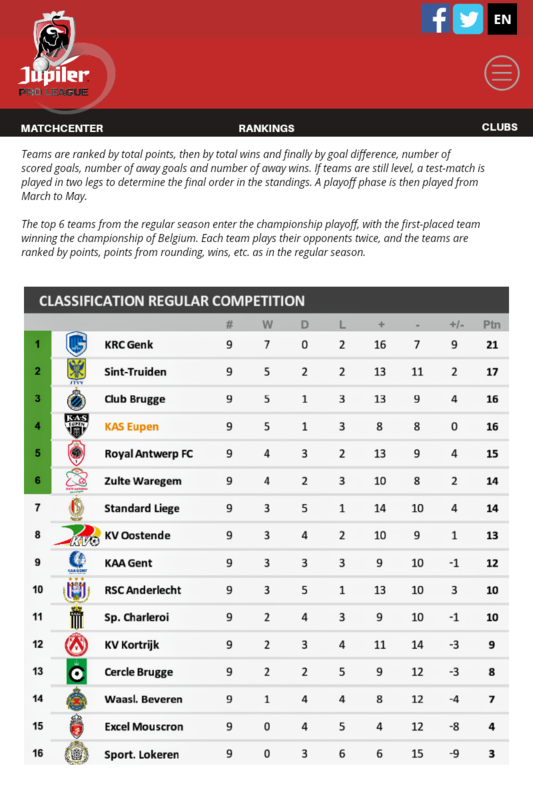 English teams do this in the Netherlands: there are ties between Chelsea and Vitesse, Man City and NAC. Good luck man. 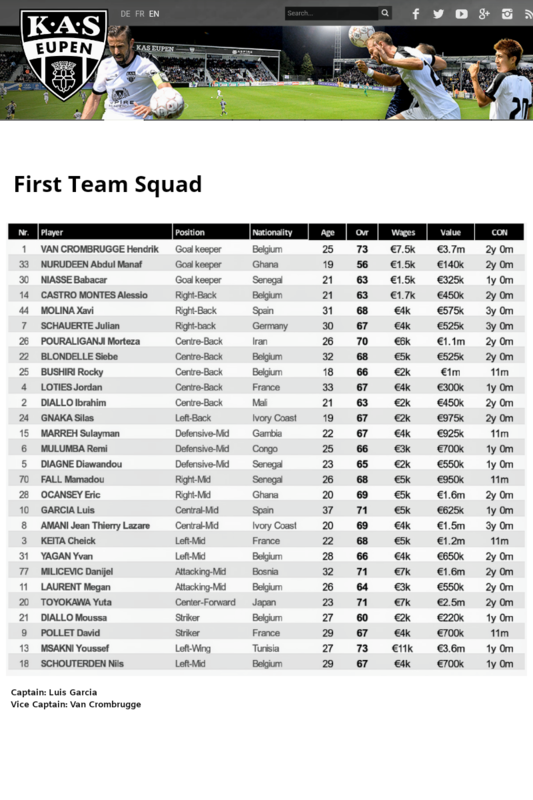 Always enjoy snapping talent out of the Belgium league in my stories so know a little bit about some of the players. Agree with Danimal, would be interesting to see a partnership with Lyon or PSG to get young talent in to start. @Danimal5981 I do agree that I hope both sides benefit from the partnerships created by the Aspire Foundation. 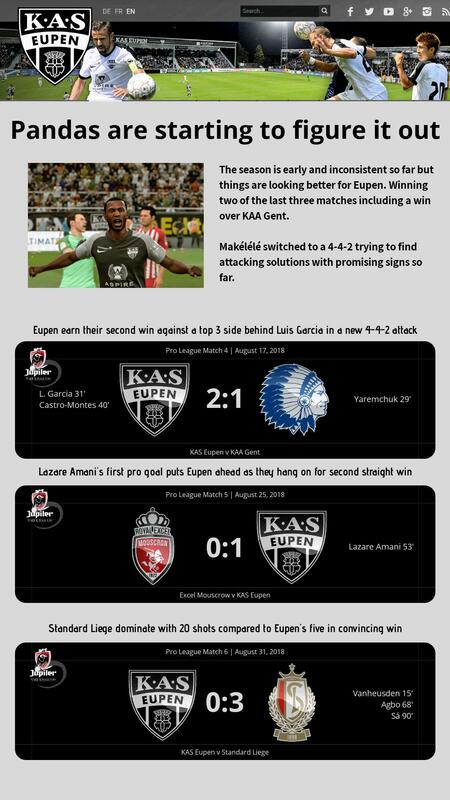 But I do not like Eupen's objectives provided, they do not put winning as a main priority, or even a fair priority. Winning to Eupen is the lowest objective behind growing players and raising money. @Wyojasond - The Aspire Zone Foundation owns PSG so that partnership will be strong I am sure, Lyon I am not so sure on yet. The Aspire academy (more on that in the next post) is headed by a head coach and sporting director that both came from Barcelona. The academy teaches players to play with a "Spanish" style and to bring players from Africa, South America and Asia into Europe. Interesting story. 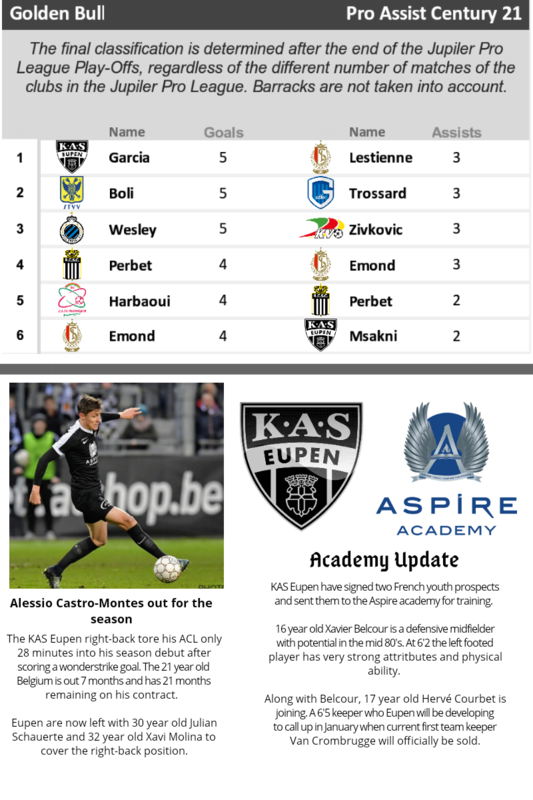 Personally I am fully against these 'academies' (let's be honest, Aspire is like an investment fund in many aspects) and it is a shame some clubs have become just tools to increase the value of players. So how are you going to deal with incoming offers? Good luck... interested to see how it develops. Thank you. I wanted to pick a league I'm not familiar with and see where it goes. I agree with you, I'm not in favor of these academies either. I tried to show there is tension between the board and Claude in the meeting that took place as Claude's attitude towards the academy will be showing more and more until something will need to change. Transfers, I'm accepting offers are players who are no longer "potential products" to one of the big clubs Aspire works with. Players in their mid to upper 20's that have not developed as expected will be sold to anyone. 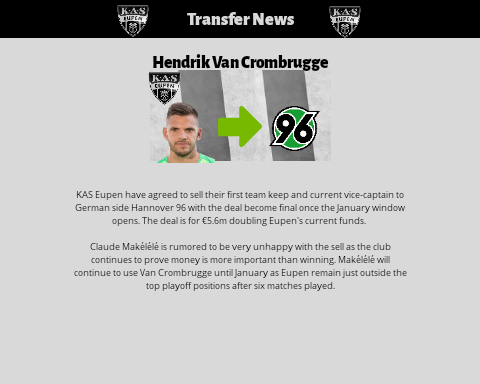 I also looked at recent transfers for Eupen and they do make other purchases from time to time. For instance, I only have one LB on the squad so I need to buy someone to fill in until I can create an in game academy. After a very promising debut against one of the top teams, the other two games were a slap of reality. It seems that the lack of attacking efficiency is a problem in these early days of the season. Too soon for conclussions though. What is the target for the team in terms of the league? The win was promising but the attack still lacked with two lucky goals. You are right though, it is early so things can change. The board has winning as the lowest priority. Finishing midtable is the goal they have set. Still early but have to begin to wonder if the team will make some tweaks on its lineup. Might need to get creative to score some goals this year. Not too bad a squad for this league, but disappointing results to start off. Any plans to add a better striker? I agree, I am switching the formation to see if that helps become more attack minded. I would like to but trying to stay realistic to the team and that means spending barely anything. I'm going to stick with this squad until January testing different lineups and tactics before trying to look elsewhere for a striker. Maybe I'll find one in the academy? 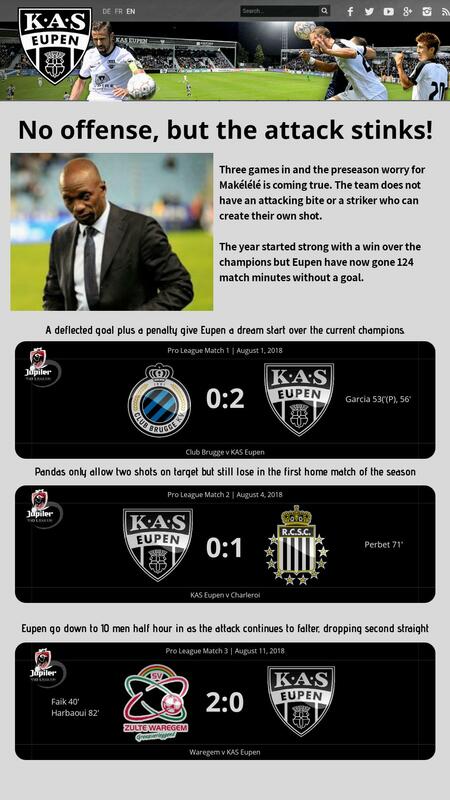 Makélélé is the manager of Eupen in real life but hopefully(if he wishes) he can progress to something bigger. I also liked watching him but I was a little too young to really pay attention during his earlier years so I mostly only remember 2007 to the end of his career. The results are in the line you can expect from the team. Perhaps the 0-3 defeat against Standard Liège is painful, but it's evident that the team isn't supposed to be among the best either. Then I can understand Makelélé's frustration with the sale of important players, but I guess he knew what he was doing when he joined the club. Let's see how he deals with it in the future. For Eupen, this is a good start! @subpop The 0-3 was the first loss I completely felt over matched, you are right this team is not ready to compete with the top yet. Selling key players does not help win games but it does help achieve the clubs goals. Right now Makelele understands this and is using the experience of managing on a budget to one day hopefully help at a different challenge. @joshdfc this start is about what was expected. A borderline playoff team is what we currently are but I am hopeful to progress to a 3-6 team by end of season. @Wyojasond Yes, the formation changed helped a lot! I also moved Luis Garcia who is a 37 year old midfielder from midfield to a striker position. His finishing is very good but besides that he has lost a step. 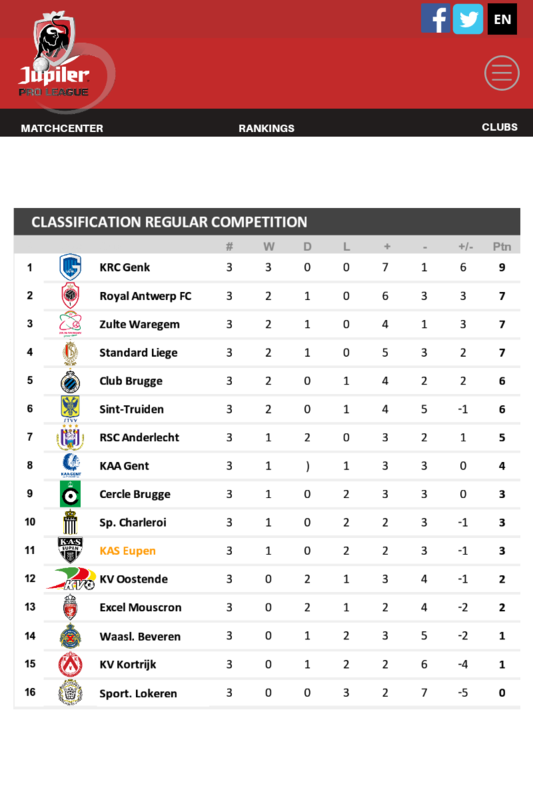 @Danimal5981 I am sure you know more about the Belgium league than I do. Any advice or knowledge on the playoff would be appreciated. I have been learning by reading online and it almost sounds like the 6 team playoff is another "season" with each team playing each other twice. In real life, the regular league goes 30 games (home and away for each) then the top 6 do that again (10 games). Reached amount of points in the regular league are divided in half before the top 6 round begins. Last year Club Brugge became champions by reaching 67 points regular season, which means they commenced the championship round with 67/2 = (33.5) 34 points. 3 wins, 3 draws and 12 points later, they were champions with 46 points. Whether the game copies that, I don't know. Thank you @Danimal5981 that makes much more sense to me. When I was reading an article online it sounded like they played 30 games then restarted and had a 10 game season between the top 6. It did not mention taking half the points, but that makes more sense. The league table has 1-6 highlighted green so I am assuming that is for playoff spots? But this is my first time in Belgium so I am not sure. I am going to play under the assumption that there is a playoff. Good results in this last run, which allow Eupen to be among the best in the league. García making the difference and he jumps on top of the goal scorers list. The bad news is the long term injury of Castro-Montes, a blow for the team.